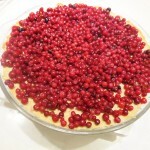 For me lingonberry pie is a symbol of autumn just like pumpkin pie is in North America. Lingonberries are wild Northern berries that grow in green woody stems. I used to pick them yearly – lingonberry is the most common shrug in Finland, it flowers in June-July and is usually picked in late August to early October. Lingonberries have a slightly sweet and sour taste similar to cranberries. They are often used as a garnish for meat dishes but are also widely used in baked goods, porridge, jam, jelly and juice. 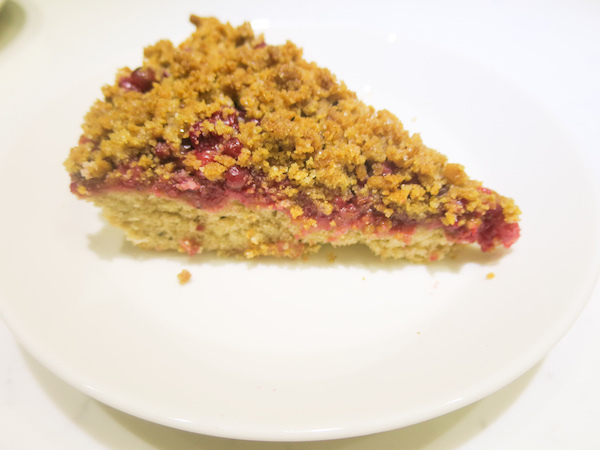 This wholesome pie has a soft almost cake like crust, a juicy sour lingonberry filling topped with sweet digestive crumbs. You can serve it warm or cold. It’s delicious on it’s own but also pairs great with vanilla ice cream, whipped cream or caramel sauce. Lightly grease a 20cm pie dish and dust with flour. Place butter and sugar in a mixing bowl and beat for 2 minutes on medium speed, then add the egg and continue beating on high speed. In separate bowl combine flours, baking powder and vanilla seeds. Add milk and flour mixture to the butter mixture in two steps mixing on medium speed. Spread onto the prepared pie dish and bake the crust in preheated oven for 10 minutes while preparing crumb coating. Mix digestive biscuit crumbs and sugar with melted butter. 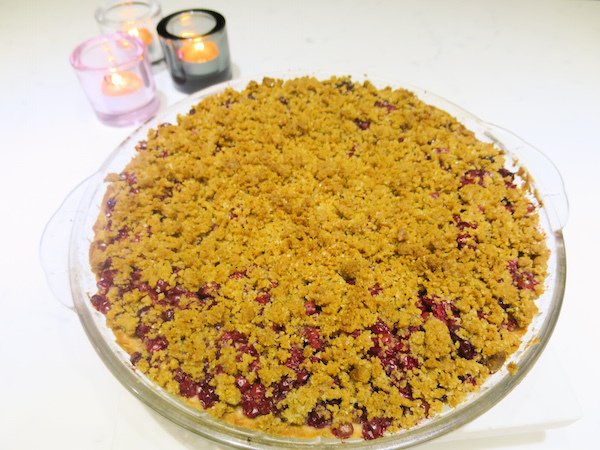 Spread lingonberries over the pre-baked pie crust and sprinkle crumb coating on top and bake for another 20 minutes.